Subdivided hallway and bedroom area with a wall closet to create an office space and changing area. 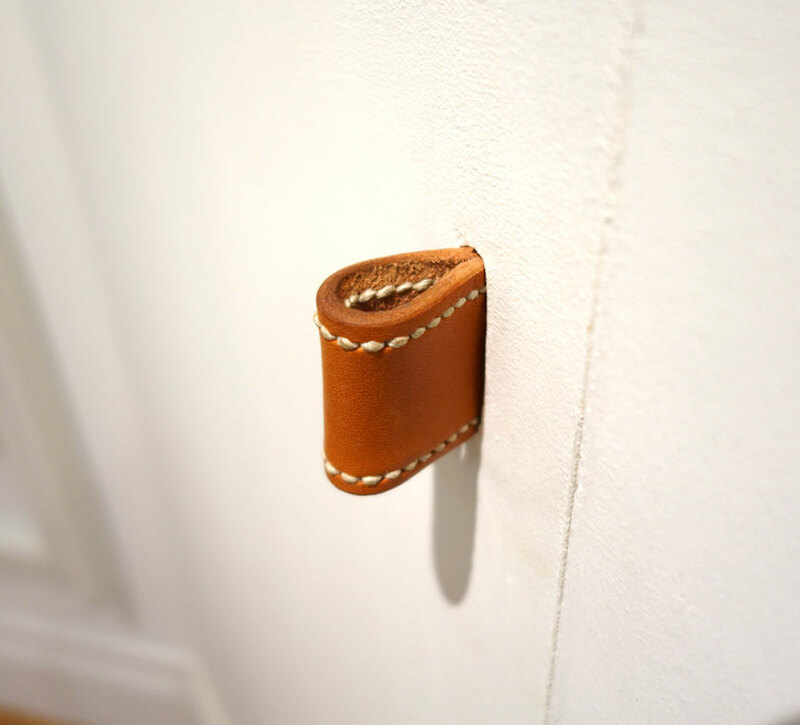 Custom machine and hand-stitched vegetable-tanned leather recessed door handles. Custom utility closet with tall door and machine stitched vegetable-tanned leather pull tab.